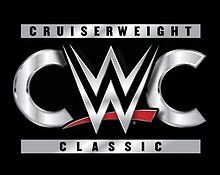 – WWE’s Cruiserweight Classic continues to impress, as the internet-catered 32-man Cruiserweight tournament has brought us some nice bouts behind the credible commentary team of Mauro Ranallo and Daniel Bryan. With a keen mix of established independent stars and relative unknowns, they’ve collaborated into something special. This episode promised action from the likes of Zack Sabre Jr., Tyson Dux, Harv Sihra, Drew Gulak, Tony Nese, Anthony Bennett, Raul Mendoza and The Brian Kendrick. Gonna be fun. – The First Round match between Dux and Sabre Jr. was a technical masterpiece on both ends. Headed in, the story of both competitors was clear. Dux overcame a severe ACL injury to battle back and this was his chance to get back into things, regarded as a “Textbook” veteran with 20 years experience. Sabre Jr. mastered the art of “Escapology” – the belief that he could escape out of any submission maneuver and was well-regarded amongst wrestling fans on the indy scene. We saw some masterful maneuvers, as Sabre Jr. showed off his abilities early on, as he worked his way out of submissions and then applied an impressive Octopus submission. It was a nice complement of styles, but we knew Sabre Jr. was winning this, as he soon made Dux tap out with careful precision, wrenching his fingers back inches of the rope. Bryan/Ranallo were also on their game here. A nice display of sportsmanship displayed as well afterwards. – The First Round match between Gulak and Sihra was shorter than expected, but still good. Gulak was portrayed as a hard-nosed Philly veteran and was put over for his technical determination. He was grateful to finally be in WWE and it felt surreal after the slow grind. On the other hand, Sihra was one half of “The Bollywood Boys” and was inspired by Eddie Guerrero to embrace his heritage, as he aspired to bring Bollywood style into pro wrestling. Sihra did some pretty moves, like a springboard cross body to Gulak on the outside, but it was Gulak’s predator-esque prowess that had him win with a second attempt on a Dragon Sleeper after Sihra tried to counter it with an Ankle Lock. It was heavily praised by Bryan, which also helped him get over. This in turn, set up a Sabre Jr.-Gulak second round match. Holy momma. – The First Round match between Bennett and Nese was more or less a display for the muscled cruiserweight Nese against the High Fade Top-haired Bennett, who came out sporting shades for himself and his hair. Bennett was out having a good time, while serious Nese felt like he was deserving of his spot for a long time coming. Nese stood out in a good way, as he marveled the crowd with stiff kicks and flew around smoothly for a man of his build. In fact, it was a 450 Splash by Nese that ended it all for Bennett. Not too bad. – The First Round match between Mendoza and Kendrick was a great main event by the end. Many people sided with Kendrick from the get-go because of his name and Mendoza was a relative unknown, but the tide turned as the match progressed. Kendrick sported his usual swagger with a little toned-down ego, but resorted back to his swarmy heel ways. Mendoza stood out early on with a nice ankle lock body swing with a twist plant at the end. From that point, Kendrick took over as he methodically forced Mendoza to eat the rope before he kicked it into his face, which busted his mouth open. Mendoza then kicked it into second gear as he flew around and hit an amazing “Coast To Coast” that got the crowd onto his side. For a moment, we wondered if Kendrick was there to put Mendoza over, but those thoughts quickly faded, as the crafty veteran played possum to sucker Mendoza into an irreversible Bully Choke to get the win to the crowd’s slight disappointment. A nice showing for Mendoza to get over, but Kendrick shined as a smart man heel, as we found out that Kendrick would move on to Round Two and face Nese. That’ll be good for sure. – Next week hyped guys like Rich Swann, Jason Lee, Gurv Sihra, Jack Gallagher in action and a bracket match that’d pit Johnny Gargano against Tommaso Ciampa. Sweetness. Posted on September 3, 2016, in WWE and tagged Anthony Bennett, Corey Graves, Cruiserweight Classic, Daniel Bryan, Drew Gulak, Harv Sihra, Mauro Ranallo, Raul Mendoza, The Brian Kendrick, Tony Nese, Tyson Dux, Zack Sabre Jr.. Bookmark the permalink. Leave a comment.